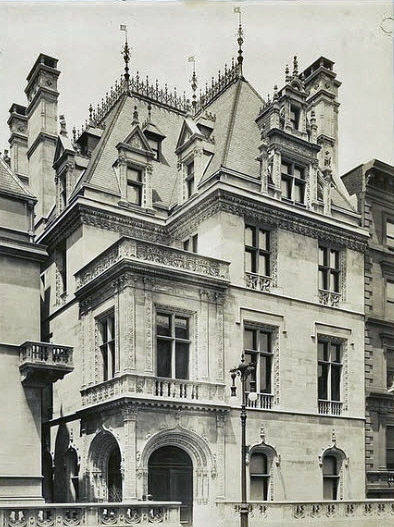 In 1879, Alva and William K. Vanderbilt commissioned architect Richard Morris Hunt to design this spectacular white limestone mansion at 660 Fifth Avenue at the corner of 52nd Street. The massive French Renaissance palace was called the "Petite Chateau" and was completed in 1883. 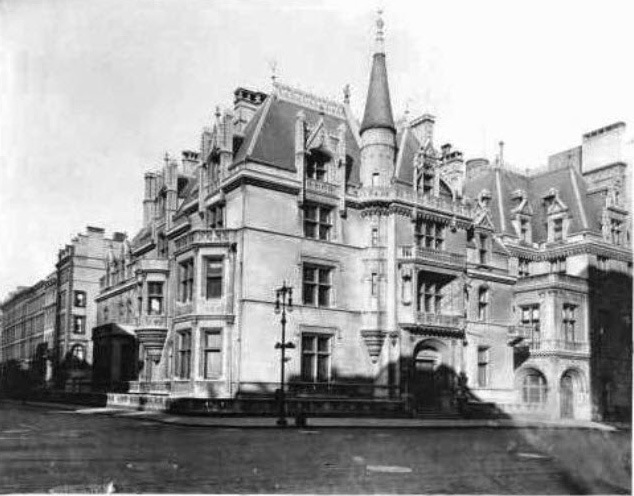 The mansion sat in the middle of what became known as "Vanderbilt Row." 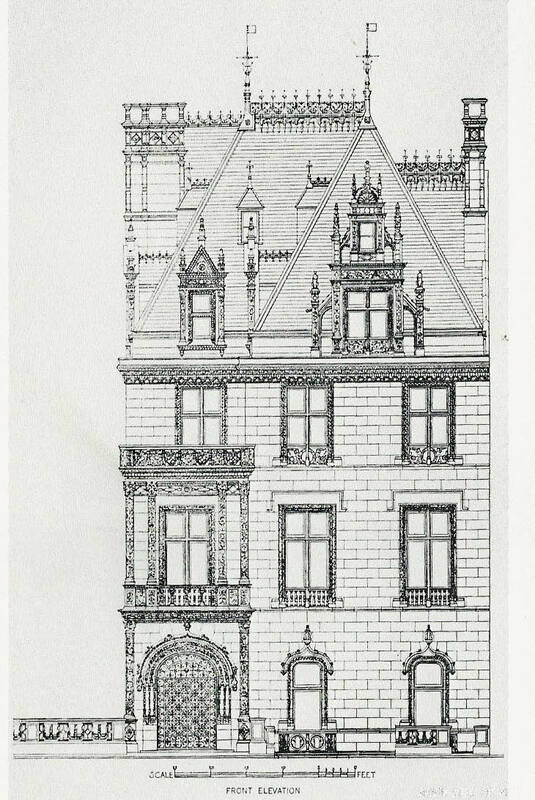 In 1904, the Vanderbilts purchased the brownstone adjacent to their mansion. 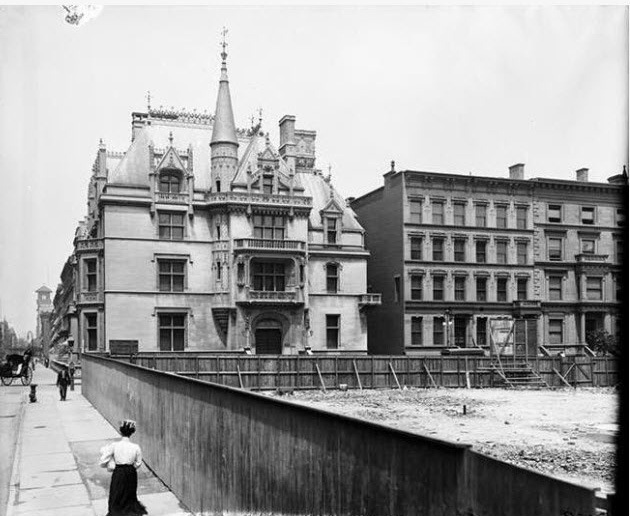 The bownstone was taken down and the property was given to William K. Vanderbilt Jr. and his wife Virginia for their future Manhattan home. 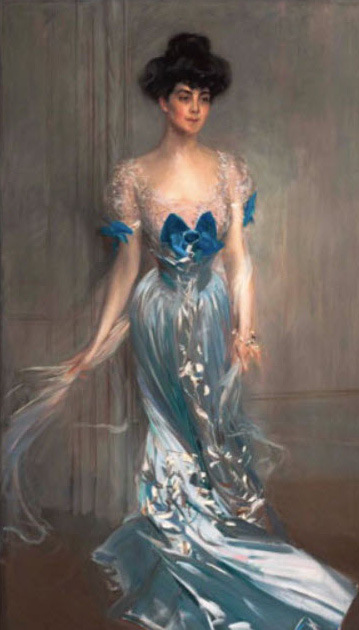 This Giovanni Boldini portrait of Virginia Fair Vanderbilt was completed in 1905. 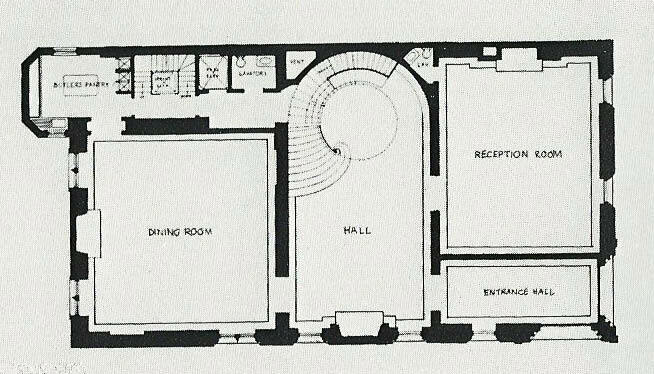 Willie K. hired McKim, Mead & White to build a six-story, 50-foot limestone mansion in the style conforming to the Hunt design of his parent's mansion. The mansion was completed in 1907. 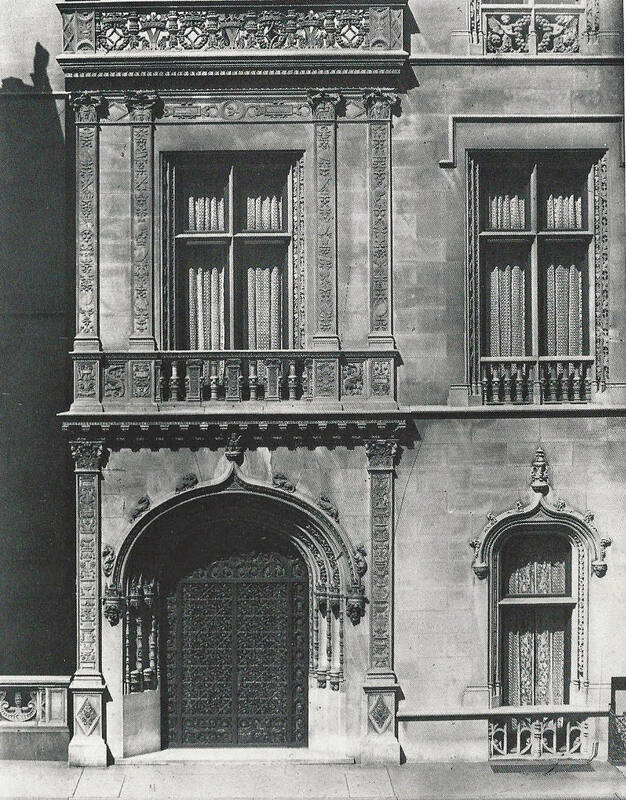 Stanford White was an admirer of Richard Morris Hunt and emulated his designs in the grillwork of the door and carved frames of the windows. 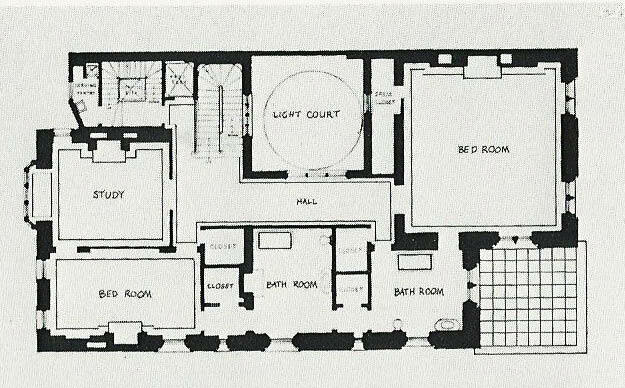 When the mansion was completed, the two mansions gave the illusion of being one building. 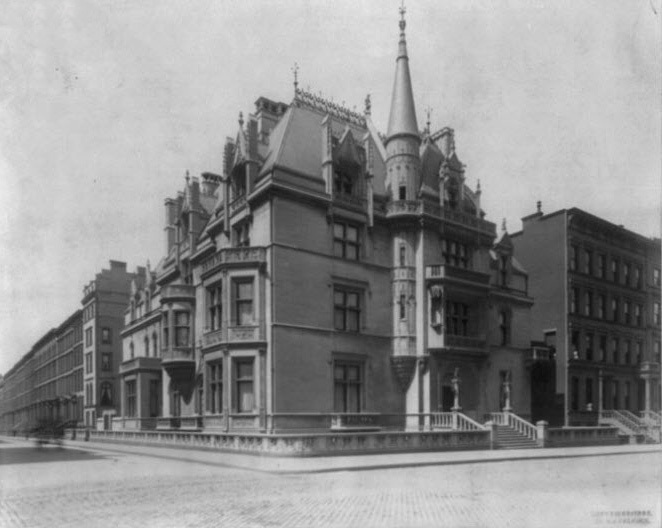 When Willie K. and Virginia separated in 1909, Willie K. moved to his Deepdale Estate leaving Birdie the Manhattan mansion. 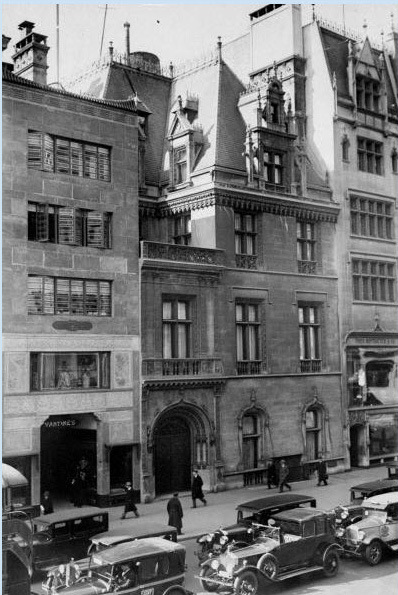 In 1925 the beautiful Vanderbilt mansion at 660 Fifth Avenue was replaced by a 20-story commerical building. The Vanderbilt mansion at 666 Fifth can be seen here standing alone. 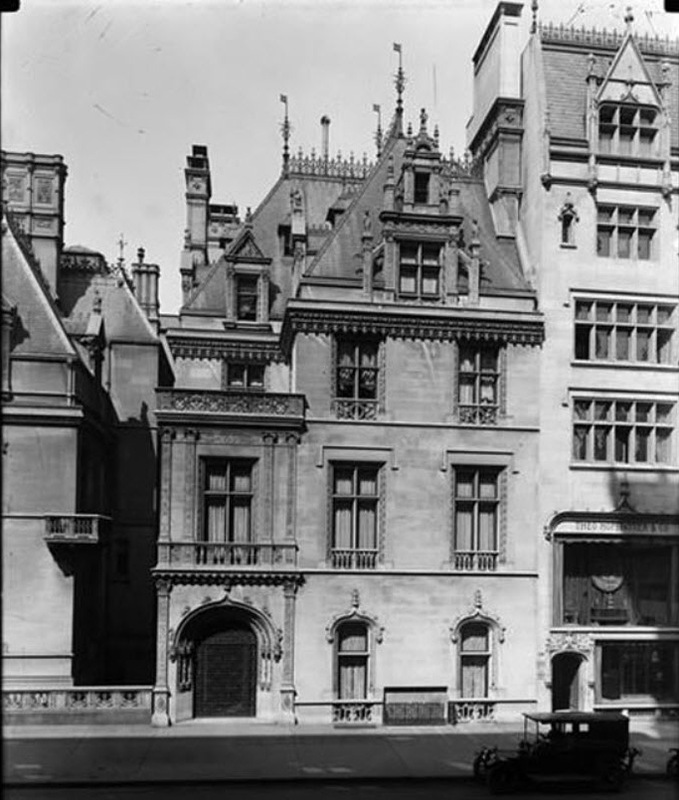 When Willie K. and Virginia Vanderbilt finally divorced in 1927, she sold the 660 Fifth Avenue mansion. In 1957 Tishman Realty and Construction built a 41-story commerical tower on the location of the two Vanderbilt mansions. The building with its distinctive aluminum panels was called the Tishman Building with the prominent 666 address on its top floor. 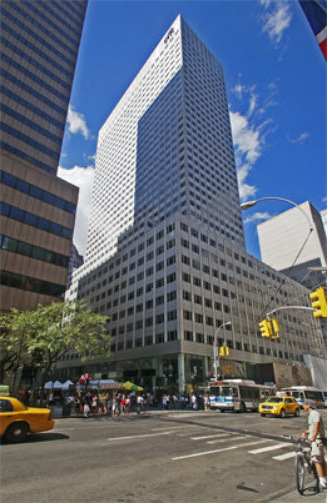 In December 2006, Tishman Speyer, along with the German investment firm TMW, announced the sale of the building to the Kushner Properties for $1.8 billion, the highest price ever paid for an individual building in Manhattan. 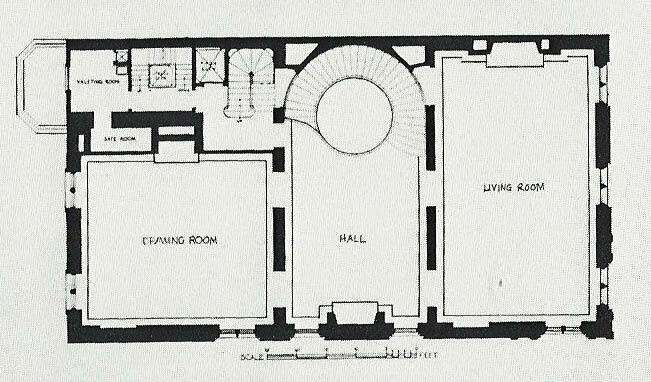 This was an unconventional price for such a short building; at 483 feet, 666 Fifth is not even among top 100 tallest buildings in New York City, but its price was mainly because of its location on Fifth Avenue across from Rockefeller Center.